Benjamin Kirk (UK, 1992) is a graduate of the Estonian Academy of Music and Theatre, and the Royal Academy of Music in London. He began his studies in Choral Conducting in Tallinn with Tõnu Kaljuste in 2011, and later continued with Patrick Russill and Paul Brough in the Royal Academy in 2014. Benjamin Kirk has worked with Estonian National Male Choir and Estonian Philharmonic Chamber Choirs. 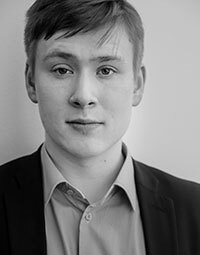 Benjamin recently completed his term as Chief Guest Conductor with Tartu University Female Choir, and last year was Assistant Conductor to Tõnu Kaljuste with the Estonian Academy of Music Chamber Choir. 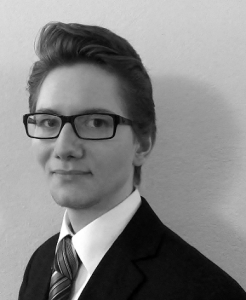 Benjamin currently lives in Estonia, and is working as a freelance chorusmaster and conductor as he completes what will be his third Master’s degree, in Orchestral Conducting. Benjamin Hartmann (Germany, 1990) started his musical studies at the Hochschule für Musik und Theater in Leipzig, where he worked closely with the Gewandhaus Chor and its chief conductor Gregor Meyer. 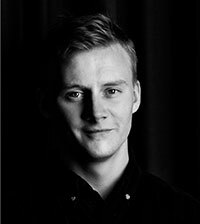 He currently studies for a master degree in choral conducting at the Kungliga Musikhögskola in Stockholm, with Fredrik Malmberg and Mats Nilsson. He is also a passionate ensemble singer. Visa Yrjölä (Finland, b. 1992) studies in the master’s programme of choral conducting at the Sibelius Academy in Helsinki and is spending the summer semester of 2017 doing exchange studies at the University of Music and Performing Arts, Vienna. He is the artistic director of two award-winning groups, the Euga Male Voice Choir and the Kaamos Chamber Choir. In 2013, the Tampere Vocal Music Festival awarded him a special prize for a young and promising conductor. Visa Yrjölä participated in the first Tenso masterclasses for conductors in 2015, working with Cappella Amsterdam, the Helsinki Chamber Choir and the Netherlands Chamber Choir.